Makoura College deputy principal Myra Coley describes her life as organised chaos. 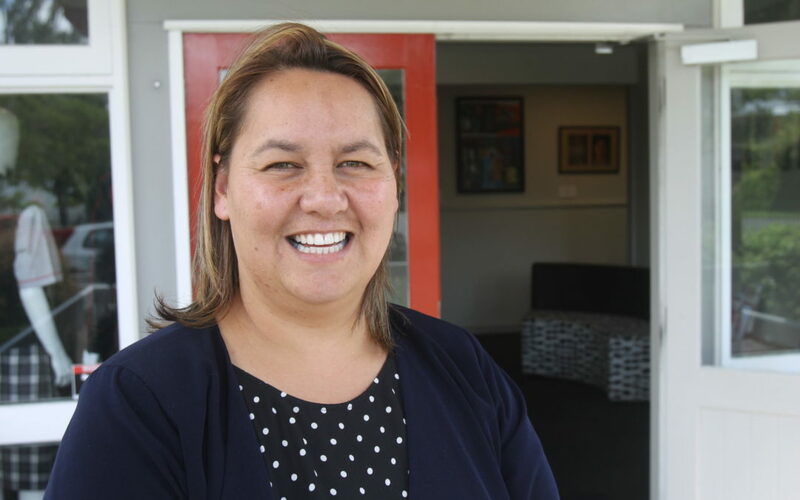 As a teen parent years ago, she was the guest speaker at the Celebration of Success at the Wairarapa Teen Parent Unit. Twenty years ago, Myra was 17 years old, planning a navy career, working at Caltex, and preparing for her sixth form exams. She was also pregnant with her first daughter. “My first initial thought was, my dad is going to kill me. “My second thought was, my dad is going to kill and bury my boyfriend. “My dad said nothing . . . to anybody . . . for two weeks, and my mum cried, then gave me a hug, then cried some more. “Two weeks later when my dad did speak to someone, it was simply to say, well we better buy this baby a bed aye, and that’s what he did. Motherhood didn’t come naturally to Myra and after initially struggling, she realised her life plan was going to have to change “and I would have to fit this little girl into it”. When Myra was 19, she found out she was pregnant again. When she was eight months pregnant, taking her daughter out in the pram, she was stopped by an “older gentleman who launched into a verbal attack on me”. “He said, you’re a drain on society, you should be embarrassed, I bet you’re on the DPB, and I bet that money you get every week to live off comes from me and people like me. “The look on his face – I’ve never seen that kind of disgust from anyone. “I cried all the way home, then I got pissed off, and then I said, actually, I’m going to prove you wrong. Myra moved to Hamilton with her partner and studied a Bachelor of Primary Teaching. She worked nights and went to university during the day. “Three years later I proudly walked across the stage at graduation, full cap and gown and was awarded my degree. The following year, Myra got a job at a primary school in South Auckland for a term and then moved to Australia with her partner. That relationship ended, and Myra moved to Masterton with her kids to be a Year 7 and 8 teacher at Chanel College. “From there on, my story has taken off. “I simply said yes after that – yes to every opportunity that someone put in front of me. Seven years later, Myra was made assistant principal at Chanel College, and at the start of last year she started at Makoura College as deputy principal. She now has a husband and three more children including a 20-month-old. Her parting advice for the Wairarapa TPU parents was to “follow your heart, find what you love, and do it”. “You have more reasons than most to give up, and you don’t. “Do right by you and your babies, and always be proud.